A review of the 2018 A Plus Labour Solutions Division 2 season. Lower Plenty ensured its stay in Division 2 lasted just two seasons, achieving the ultimate success after upsetting Eltham on its way to its first premiership since 2011. Lower had been a contender all season, always lurking behind the ladder-leading Panthers. But it was on Grand Final day when the Bears were able to claim their first win over the Panthers for the season – led by star players Patty Flynn, Tom Keys, Darcy Barden and Ben Paterson – with the latter kicking the premiership-winning goal on the final siren. 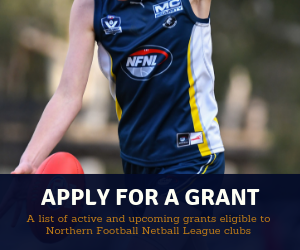 While Lower Plenty proved to be ultimately successful, there were a number of worthy challengers throughout the year – headlined by none other than Eltham, as well one of the surprise packets of the season in Banyule – a year after winning the Division 3 premiership. After being demoted from Division 1 by percentage last season, the Panthers set about making their stay in Division 2 a short one, going through the first 15 rounds undefeated to secure the minor premiership a month before the finals. Eltham secured the first spot in the grand final with a come-from-behind win over Lower Plenty in the second semi. The Panthers then led for much of the low-scoring grand final and looked destined to win the flag when leading by three goals to none at three-quarter time. But a scoreless final quarter in the premiership decider saw the Panthers beaten in an upset result and extend their stay in Division 2 – an undoubtedly disappointing end to what would have been one of the more successful seasons seen in Division 2. 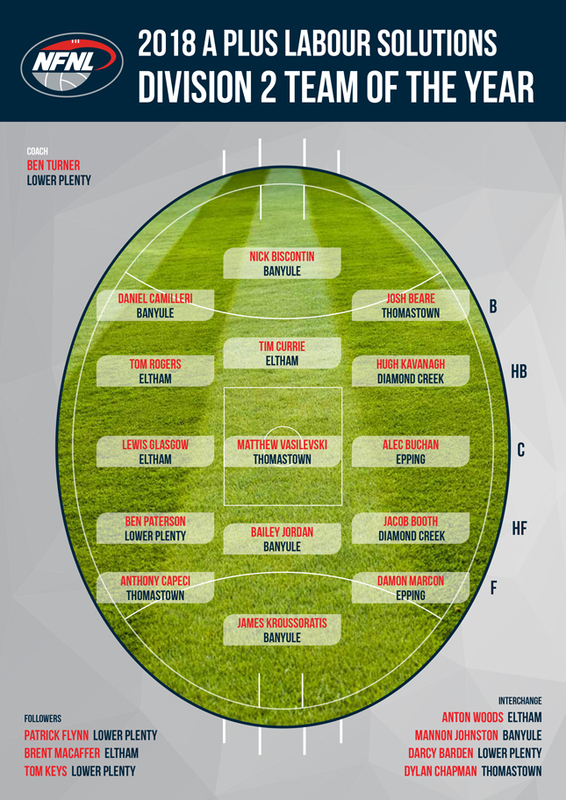 Banyule and Thomastown rounded out the top-four, with the former, in particular, looking like a genuine premiership threat during the second-half of the campaign. Banyule ended the regular season with seven wins from its last eight matches – which included triumphs on the road to both Eltham and Lower Plenty. 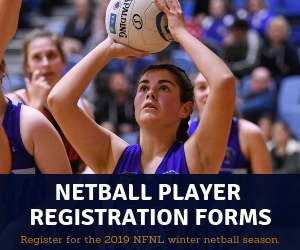 However, after coming from behind to beat Thomastown in the first semi final, Banyule fell one-step short of a grand final appearance with a loss to eventual premier Lower Plenty in the preliminary final. Thomastown ended a three-year streak of fifth-place finishes with its first Division 2 finals appearance since 2008. 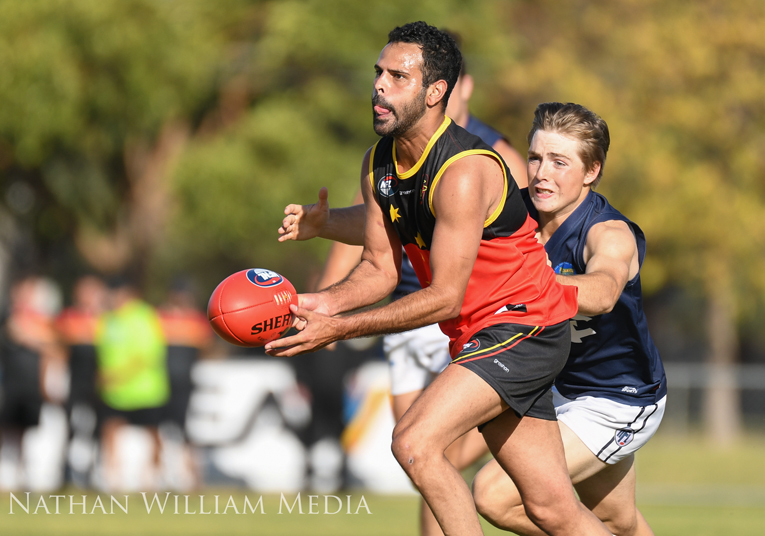 The fourth-place finish wasn’t secured until the final minute of the home and away season, following a dramatic final-round clash with Diamond Creek – which was essentially an early elimination final. Needing to win by more than 12 points to play finals, the Creekers led by 50 points during the third term. However, the Bears managed to fight back and bring the final margin within a goal to secure the last place in the top-four. 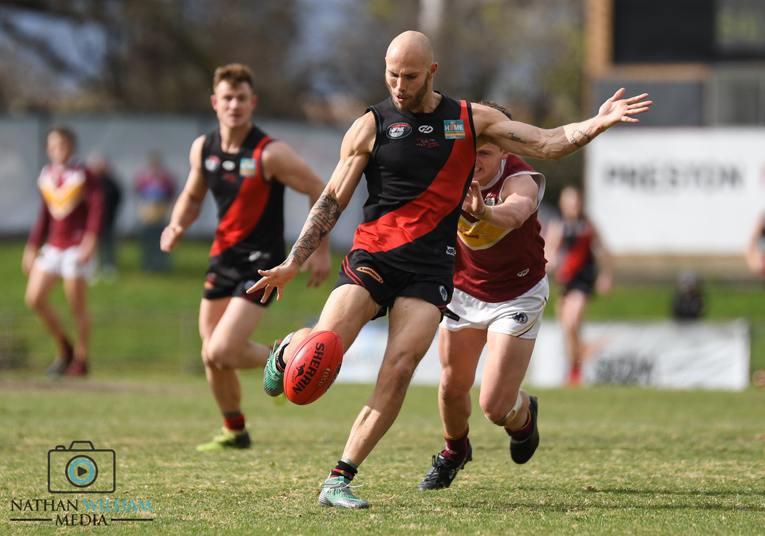 Epping quickly found its feet in its return to Division 2 – winning six games and competing well in a majority of its matches against the best sides. It was an admirable effort after only being promoted a month before the season started and provides much encouragement moving towards 2019. 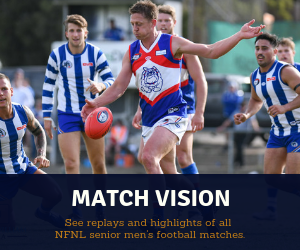 Fitzroy Stars and Watsonia fought out the wooden spoon battle, with the Stars managing to stay ahead of the Saints on the ladder despite the sides splitting their two encounters in the season. Lower Plenty ruckman Patrick Flynn had a season to remember to take out the competition best and fairest award. Flynn also polled well in the Coaches MVP award, coming in fourth place, and claimed the best-on-ground medal in his side’s incredible grand final win to cap off a superb season. Eltham recruit Brent Macaffer was third in the competition best and fairest voting but took out the Coaches MVP award. Macaffer polled 85 votes, before also taking out the Panthers’ best and fairest. James Kroussoratis topped the goal kicking with 68 goals in the regular season, despite also spending plenty of time further up the field. It was Kroussoratis’ third competition goal kicking award after also claiming the Division 1 award in 2015 and Division 3 award last year. After a third-place finish in 2017, Lower Plenty was able to go two steps better this year to claim its third Division 2 premiership. 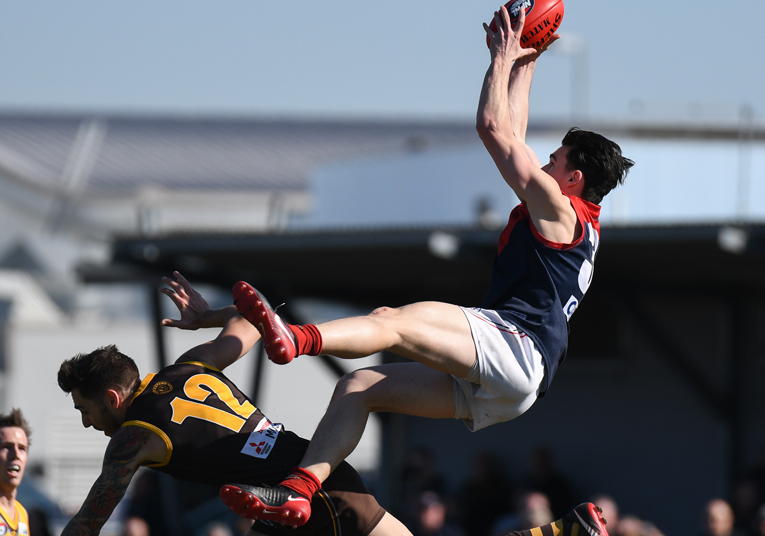 After going through the opening seven rounds unbeaten – ended by a six-goal defeat to Eltham – Lower established itself as the clear challenger to the Panthers for this year’s flag. Despite sitting in second spot for 17 of the 18 weeks of the regular season, the Bears limped towards the finals, winning just one of their last three home and away games, before losing to Eltham by 14 points in the second semi. But Lower turned its fortunes around against an in-form Banyule in the preliminary final, with Tom Blake starring in the 20-point win. The grand final triumph will long live in NFNL folklore. Lower had failed to register a major at three-quarter time, but made an inspired final quarter comeback. Six points down entering time-on, the Bears booted six consecutive behinds before Ben Paterson snapped through a goal on the final siren to win the premiership. Remarkably, it was the first time his side had led all game. Captain Patrick Flynn was again one of the most important players for Lower in 2018, winning the Division 2 best and fairest award to go along with his best-on-ground medal from the grand final. Flynn was certainly a barometer for his side, with Lower falling into a short form slump midway through the season during Flynn’s absence with a knee injury. Tom Keys continued his stellar form throughout the 2018 campaign, winning the club best and fairest and finishing second in both the competition best and fairest and Coaches MVP vote counts – a testament to his importance to his side with his ability to both win the ball in the midfield and kick goals when playing forward. Darcy Barden and Ben Paterson featured alongside Flynn and Keys in the Division 2 Team of the Year, while Corey Sleep and Jordan Sacco continued to emerge as star players for their club. Eltham had a successful season in its return to Division 2 after 15 years in the top flight, before falling at the final hurdle. The Panthers were the clear frontrunners from the outset of the season. A 59-point thrashing of last year’s Division 2 runner-up Diamond Creek in the standalone Good Friday encounter sent a clear message of intent to the rest of the competition – with the Panthers sitting in first place on the ladder for the entire season. Both Eltham and Lower Plenty were unbeaten heading into their Round 8 clash at Eltham Central Park. The Panthers trailed at half time before storming to a 36-point win – further cementing their status as the side to beat in 2018. The winning run continued until Round 16, when the Panthers were toppled by the in-form Banyule. It turned into two losses in a row after a shock defeat to Diamond Creek in Round 17. But the Panthers could be forgiven for taking their foot of the gas late in the regular season, considering they’d already locked up first place. They finished the home and away season with a big win over Epping, before a strong second half against Lower Plenty in the second semi final saw them earn the first place in the grand final. 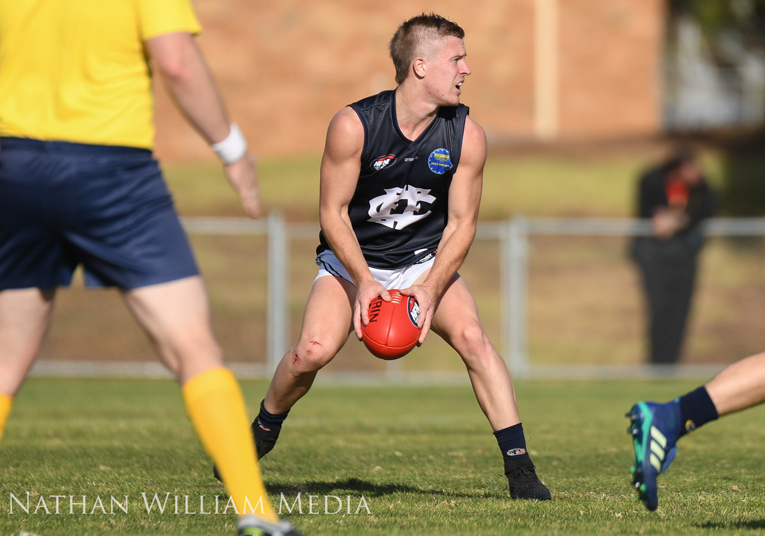 Unfortunately, the premiership decider didn’t go the way the Panthers had hoped – ensuring another season in Division 2 in 2019. Brent Macaffer proved to be a sensational inclusion and was arguably the recruit of the season across the NFNL. 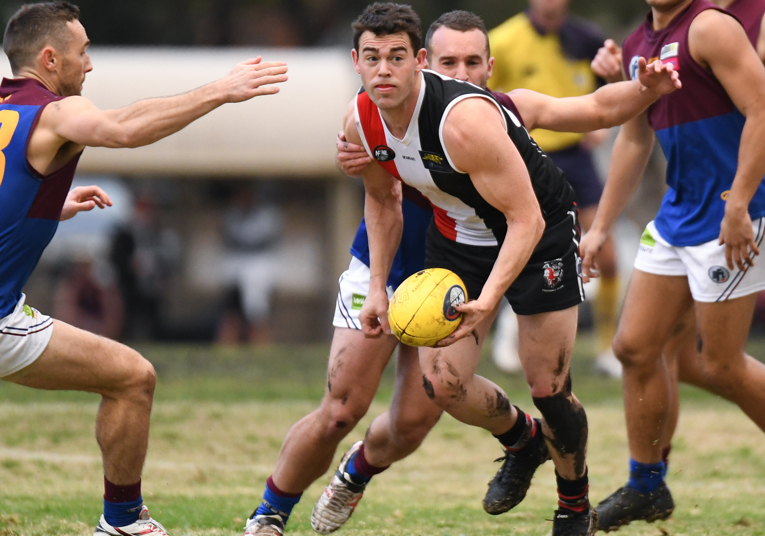 The former Collingwood premiership utility was a standout performer in 2018, winning both the Coaches MVP award and Eltham best and fairest, while also finishing in third place in the competition best and fairest count. 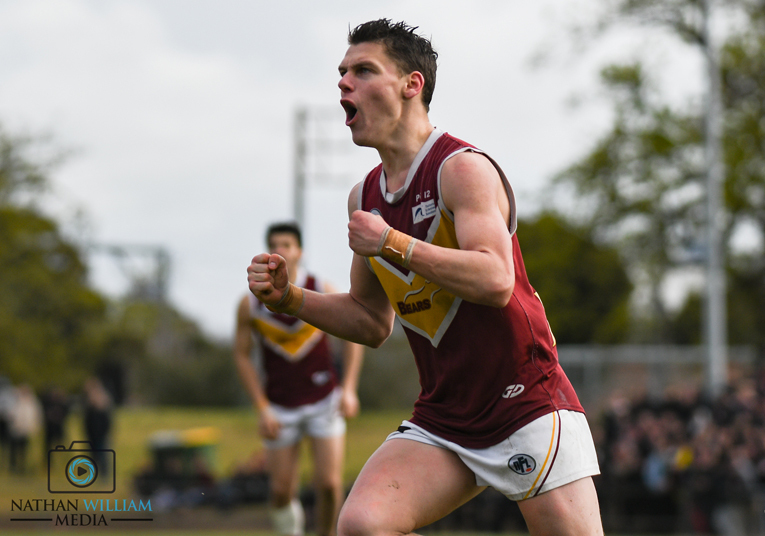 Tim Currie was another important inclusion and dominated in both defence and attack, headlined by a 10-goal haul against the Fitzroy Stars at Sir Douglas Nicholls Oval. Tom Rogers relished a move to the half back line and was named in the Team of the Year. He was cruelly denied the chance to play in the grand final after severely injuring his knee in the second semi final. 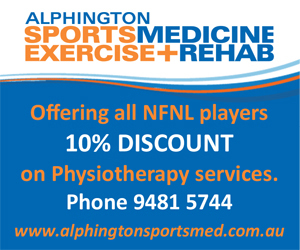 Anton Woods was ever-reliable and was best afield in the NFNL’s representative win over the MPNFL in May, before also representing Vic Metro. Meanwhile, the rise of the Glasgow brothers continued. 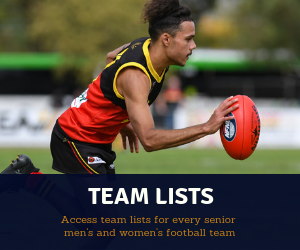 Lewis was selected in the Division 2 Team of the Year, while Bronson showed positive signs for the future with a solid campaign in his first complete season of senior football. Having won the Division 3 premiership in 2017, Banyule coach Pete Davey said pre-season “We think just being competitive, regardless of who we’re playing against, is probably going to make our transition into this division a lot easier.” Banyule proved to be much more than competitive as it continued its rise up the NFNL ranks with a brilliant maiden season in Division 2. The Bears thrashed Watsonia in the opening round, before pushing Eltham all the way in Round 2. After taking an even 5-5 win-loss record from the opening 10 rounds, it was in the second half of the campaign when the Bears truly hit their straps to become the form side of the competition entering the finals. Banyule won seven of its final eight games to become the first reigning Division 3 premier to play Division 2 finals the following season. 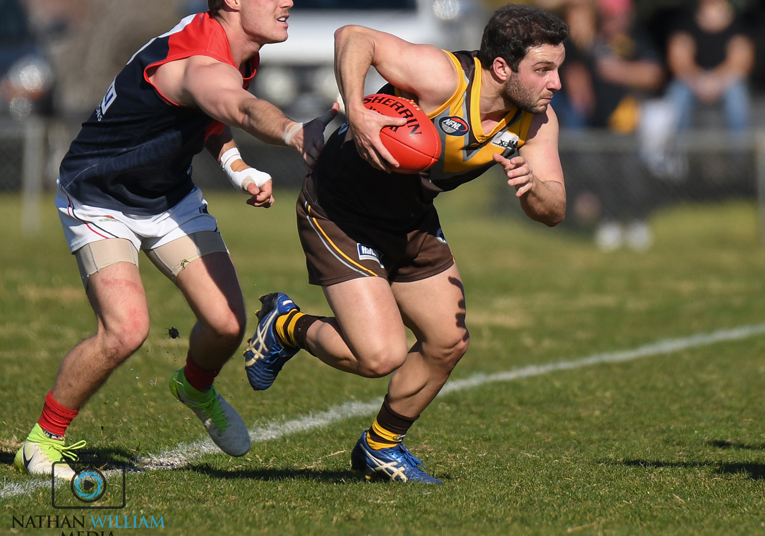 The Bears were the first side to beat Eltham – doing so with an impressive run away win at Eltham Central Park in Round 16, before also toppling Lower Plenty on the road a fortnight later. Despite taking plenty of momentum into the finals, Banyule had to scrap its way through the first semi after trailing Thomastown for the opening three quarters. 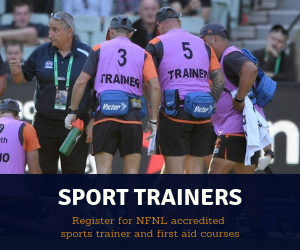 They eventually scored a hard-fought 17-point win, before injuries to key players saw them fall short against Lower Plenty in the preliminary final – bringing to an end a very positive campaign. James Kroussoratis was again a standout to win the club best and fairest award. The star goal kicker finished the regular season with a competition-high 68 goals, which included a season-best 11-goal haul against the Fitzroy Stars in Round 17. Kroussoratis received strong support from Bailey Jordan, who was a strong target in the forward half. The duo’s efforts were rewarded with selection in the Division 2 Team of the Year. Nick Biscontin and Daniel Camilleri were outstanding in defence and also earned Team of the Year selection, along with Mannon Johnston. Both Johnston and fellow Morwell recruit Riley Hogarth had outstanding debut seasons for the Bears, while Daniel Kelly and skipper Scott Gumbleton again enjoyed strong years. Brent Stanton also offered outstanding support both on and off the field, with the former Essendon star booting 12 goals in 10 appearances in between work commitments with Carlton. At long last Thomastown was able to breakthrough for its first Division 2 finals appearance since winning the 2008 premiership. This year’s fourth-place finished followed three successive fifth-place finishes. Needing either a win or a loss by 12 points or less against Diamond Creek in the final round, the Bears looked destined for another heartbreaking finals miss when they trailed by 50 points during the third term. However, they courageously rallied to fall by just two points, sparking scenes of jubilation at Main Street Reserve, despite losing the match. It wasn’t all smooth sailing at the start of the season for Ben Chapman’s side after winning just one of their first four games. However, they went on to win 10 of their next 12 matches – which included two vital wins over Diamond Creek in rounds 5 and 10, as well as a critical 23-point triumph over Lower Plenty in Round 16. 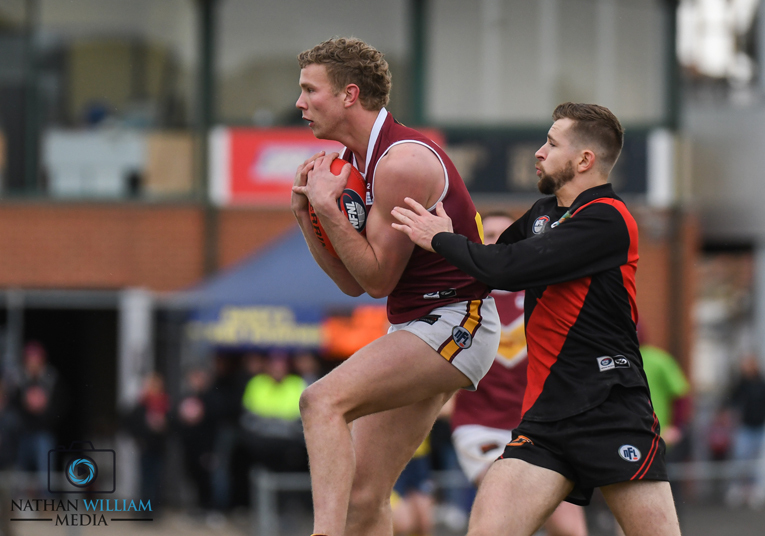 Thomastown’s season came to a close with a 17-point loss to Banyule in the first semi final, and while the club would have been disappointed to have surrendered a three-goal lead in the knockout match, it was still very much a highly successful season for the Bears. Their improvement this season was reflected with four players being selected into the Division 2 Team of the Year, which included recruits Anthony Capeci and Dylan Chapman. Chapman finished in third place in the Division 2 Coaches MVP voting, while Capeci booted a team-high 33 goals and ensured the Bears were more dangerous going forward this year. Matthew Vasilevski produced another outstanding season and won the club’s best and fairest, despite missing the final three games of the year, while Adrian Natoli, James Rizzolio, Daniel Chadwick and Josh Beare all produced strong campaigns to ensure their side played finals for the first time since winning the Division 3 premiership in 2013. Diamond Creek endured an up-and-down season to say the least, with a fifth-place finish proving a disappointing result after playing off in the 2017 grand final. 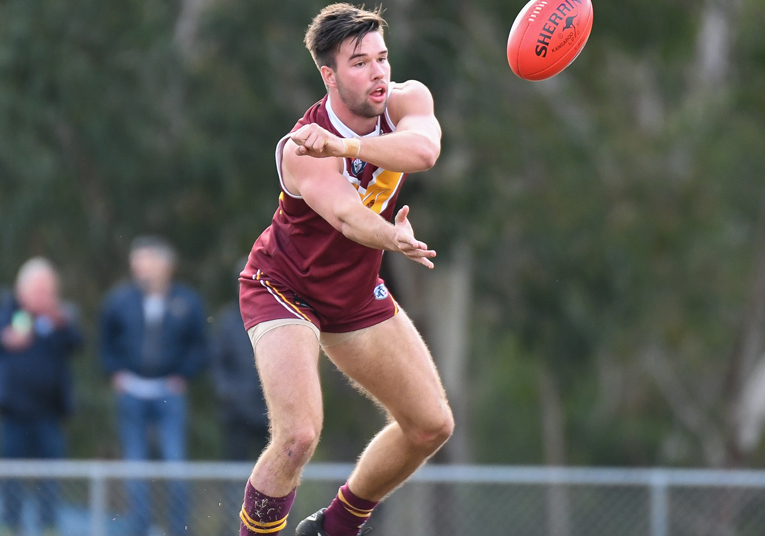 After a heavy loss to Eltham in Round 1, the Creekers recorded three-consecutive wins by greater than 50 points to look well placed after the opening four rounds. They then dropped their next three matches, before bouncing back with three consecutive wins – which included a stirring come-from-behind triumph over Lower Plenty in Round 9. The win came at a significant cost, with Jess Cosaitis sustaining a season-ending leg injury. The star forward had been in outstanding touch and still managed to finish in equal-fifth on the goal kicking table, with 33 majors. 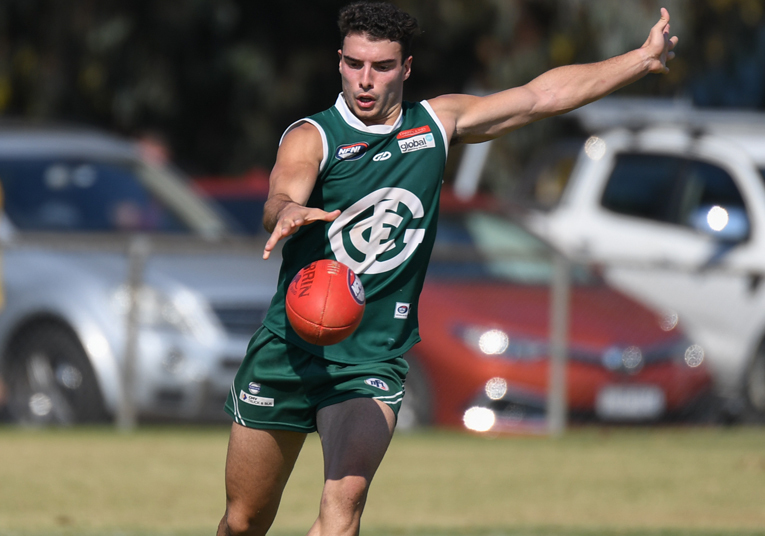 Following that win at Montmorency Park, the Creekers lost each of their next three games to top-four sides over the next six rounds, including a percentage-deflating 79-point loss to Banyule in Round 12. The club never gave up the fight for a finals place and did win its final three games, including wins over Eltham and Thomastown in the last two rounds. 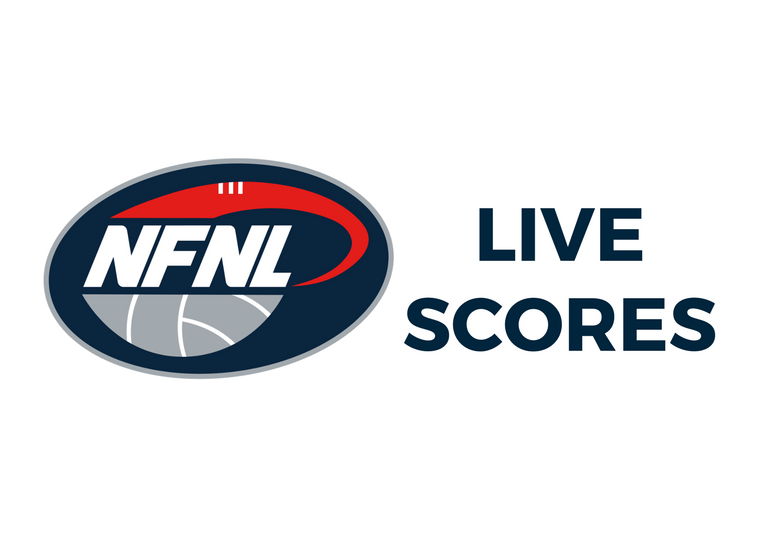 However, the Round 18 win over the Bears ended with a feeling of defeat after letting a finals place slip with a fourth quarter fadeout – meaning the Creekers missed the finals by just 1.33%. Jacob Booth continued his stellar start to his senior football career to win his second-consecutive best and fairest award. Booth also tied for the club’s goal kicking award and was one of two representatives in the Team of the Year, alongside defender Hugh Kavanagh. Ty Franks produced a career-best season to finish runner-up to Booth in the best and fairest, while Danyon Kambouris and Oliver Parks also performed well and Nicholas Barro showed good signs for the future. Having put its hand up to fill the void left by Lalor in February, Epping proved up for the task of Division 2 football – even with 2017 best and fairest Tom Hughes sidelined all season. Despite just the six wins to show for their efforts in season 2018, there were a wealth of positives for the Blues, so ignore the win-loss column. 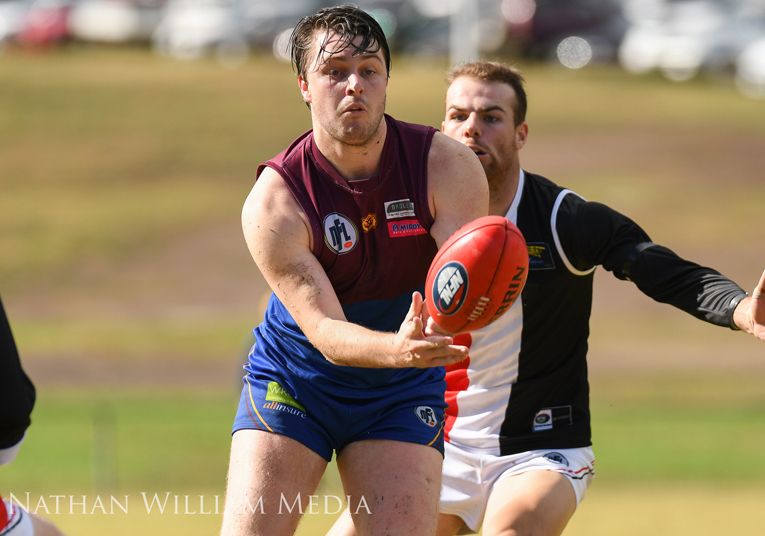 Having started the season with two defeats in the realm of 50 points, Epping pulled off its first win of the season with an upset over former Division 3 rival Banyule in Round 3. The Blues came out firing to lead by 19 points at the first change, before holding off two rallies from the Bears to prevail by four points. 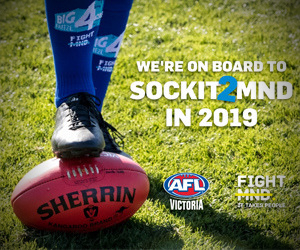 A one-point loss to the Fitzroy Stars followed the next week and was a reflection of Blues’ season – that being one of inconsistency, despite great effort. Epping became known for being a fast-starting side, averaging 23 points in the first quarter – its most of any term. The Blues often got a jump on their opponent – even against more fancied sides. Despite being highly competitive for a long period in the majority of their games this season, their second quarters were their Achilles heel, averaging just 15 points per game. Alec Buchan and Damon Marcon both had standout seasons and featured in the Division 2 Team of the Year. A promising talent in recent years, Buchan took his game to a new level in 2018 to win the best and fairest award, while Marcon proved to be one of the competition’s most reliable goal kickers. Marcon’s fellow former Preston Bullants teammate Reed Jepson was also a vital inclusion for the Blues this season. Ruckman Joel Carter made a welcome return after a year at Mernda and was regularly among the club’s best players, along with Paul Dempsey and Leigh Judd, whilst the improvement shown from Jordan Wilkins and Dallyce Taylor will keep the Blues’ faithful hopeful of a bright future ahead. Season 2018 was a tough campaign for the Fitzroy Stars, who missed out on a Division 2 finals appearance for the first time since 2011. The Stars lost a wealth of key players at the conclusion of the 2017 season, including retired club legend Lionel Proctor, and quartet Peter Hood, Kain Proctor, Richard Bamblett and Jai Burns, who all transferred to Division 1 side Bundoora. There was certainly a sense of a rebuilding phase this season, despite the club’s pre-season ambition of a top-four finish. The 2018 season saw the Stars win just the two matches, both of which were cliffhangers. The first win came with a one-point triumph over Epping in Round 4 – courtesy of a goal with the last kick of the game, before downing Watsonia by two points in Round 10 – a game which also came down to the final kick. Recruit Steven Stallion’s season was one of note, featuring in the Stars’ best players on a weekly basis, with strong support from Shawn Wilkey and Hedley Smith. Continuing to blood the youngsters was a key focus this season, with Alex Williamson and Taylor Drummond featuring regularly. Despite avoiding the wooden spoon, the Stars had the highest average losing margin, at a whopping 89 points – more than five goals more than Watsonia’s average losing margin. The Stars gave up the most points of any side, at an average of 140 points per game. 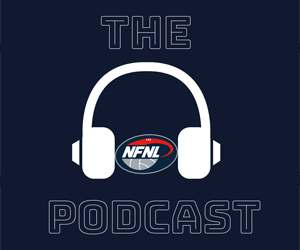 These statistics highlight the tough season the Stars had, but a heavy recruitment strategy already looks in place for the 2019 season under Hayden Heta. 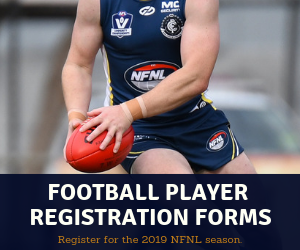 Kain Proctor, Jai Burns, Corey Wanganeen and Brad Kairouz have all signed on for a return to Sir Douglas Nicholls Oval, where they will be joined by former Melbourne and Carlton midfielder Chris Johnson and former Calder Cannons player Jake Firebrace. After a positive 2017 campaign, the Saints had a disappointing season, having to wait until the final round of the season to register their first win. However, a close look at some of the key stats shows that Watsonia’s season was better than what the win-loss column suggested. The Saints were generally very competitive in the first halves of their matches, before falling away in the second half – where they averaged a competition-low 34 points. They led premier Lower Plenty at three quarter time in two outings this year and also put up two solid showings against Diamond Creek. 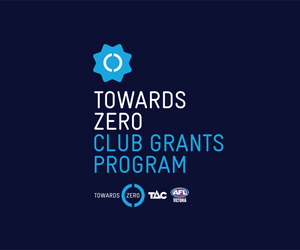 Overall, the Saints lost seven matches by six goals or less – which included an agonising two-point loss away to the Fitzroy Stars in Round 10 when Sam Peet’s long-range shot after the siren fell just short of the goal line. The wooden spoon would have been avoided had that shot travelled just a few metres further. The highlight of the season came in the final round when the Saints claimed their maiden win of the season. After leading by six points after the first two changes and 11 points at the three-quarter time break, the Saints produced their best quarter of the season, piling on 10 goals to win by 67 points, providing a positive end to a tough campaign. Skipper Matthew Crompton claimed his second-consecutive best and fairest award, ahead of Matthew Gibbs – with the duo unquestionably the Saints’ most consistent performers throughout the year. Allan Young provided a focal point in attack and finished with 28 majors, while Daniel Watson, Sam Peet and Clark Sloan showed positive signs in their first season at the club. Former Thomastown and Parkside mentor George Lattouf has been appointed coach of the Saints for the 2019 season, where the club will have the chance to redeem itself in Division 2, after no sides were relegated to ensure a nine-team competition in 2019.